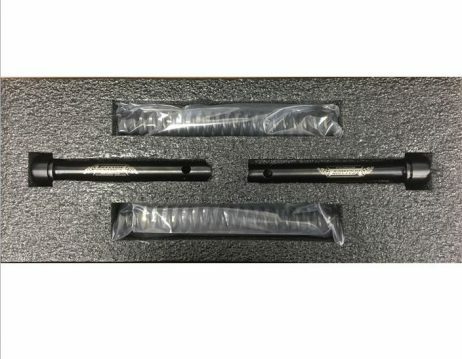 Drop in Damper Rod Kit. Combines damper rod and cartridge technology for superior bump absorption, traction, and control. The AR-25 Axxion Rod kit blends the old style damper rod with the cutting edge technology of today’s cartridge valves. 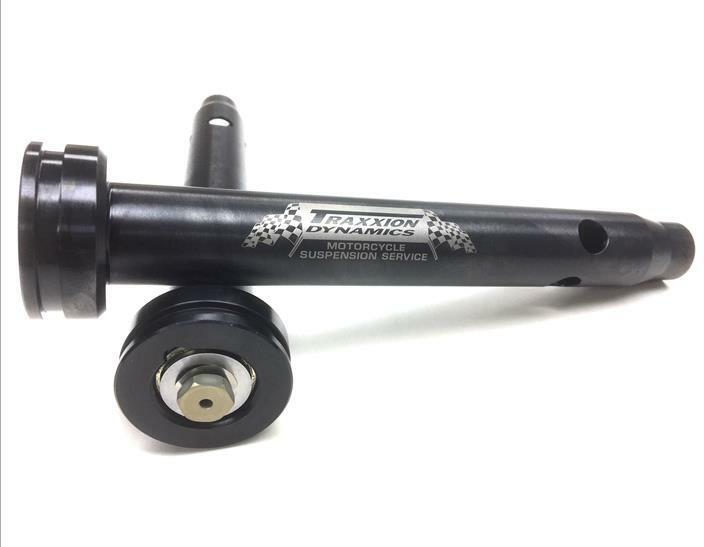 We have integrated our 25mm Axxion Valve used in every level of racing into our damper rod. 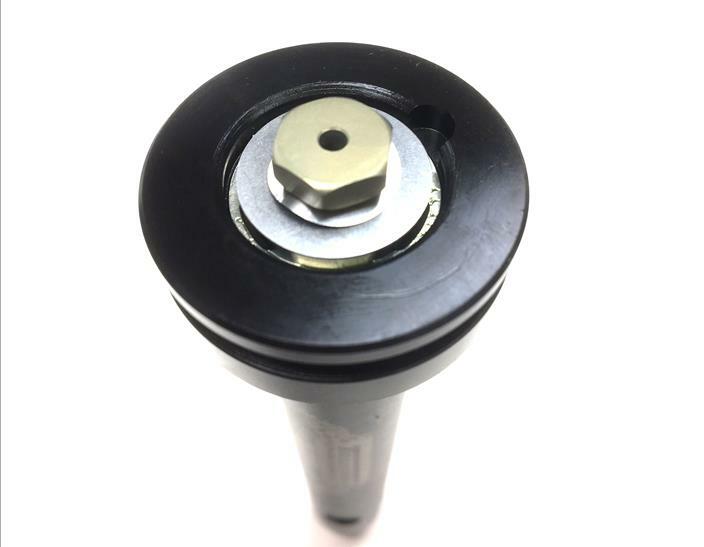 Our damper rod is designed to seal better and flow oil better than any modified OEM damper rod. 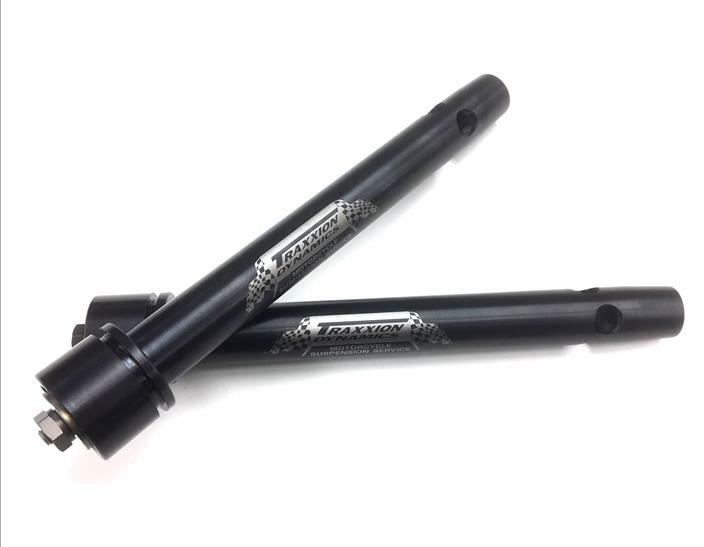 The damper rods are machined to our strict tolerances in house on our CNC lathes. The end result is as close as you can get to installing a cartridge in your fork but still easy on the wallet. Superior bump adsorption, greater traction and front end control. 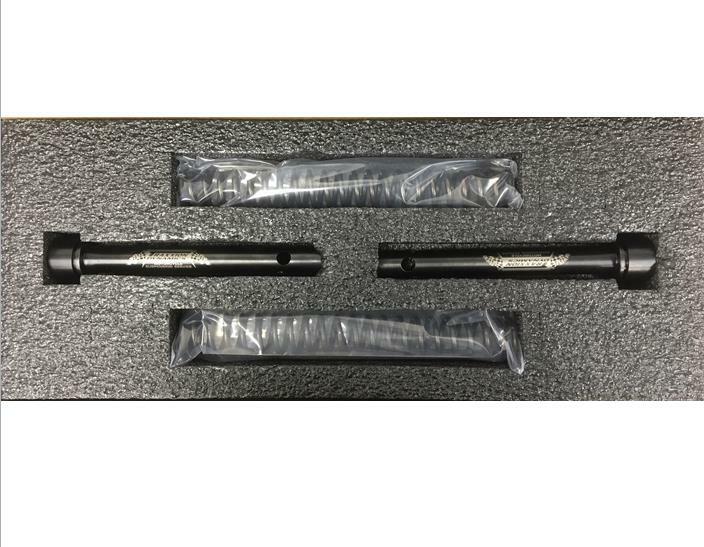 The kit is a direct bolt-in, requires no drilling, brazing, deburring or other machining. It can be installed quickly and easily by anyone who likes to service their own forks. 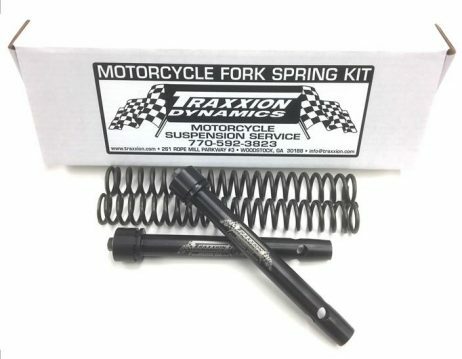 Just remove the fork cap, dump out the spring and oil, remove the bottom bolt and let the stock rod fall out. Put the all new AR-25 Axxion Rod in, fill with oil, and install the springs and precut spacers and you are ready for the twisties or your next track day for less than half the cost of a cartridge kit!